PwC reckons that the AI market in the Middle East could be worth $320bn by 2030. Read in this issue how a robot is already welcoming and helping shoppers in the United Arab Emirates. This thirst for tech disruption in the Middle East has caught the eye of GE chief digital officer Bill Ruh, who is a driving force behind businesses using digital tech­nology to change traditional business models. 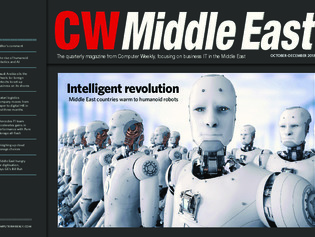 Ruh told Computer Weekly that the Middle East is one of the most enthusiastic regions when it comes to digitally disrupting traditional business models. In this issue, he explains that such is the hunger for change in the Middle East that he has spent most of his time in the region this year.